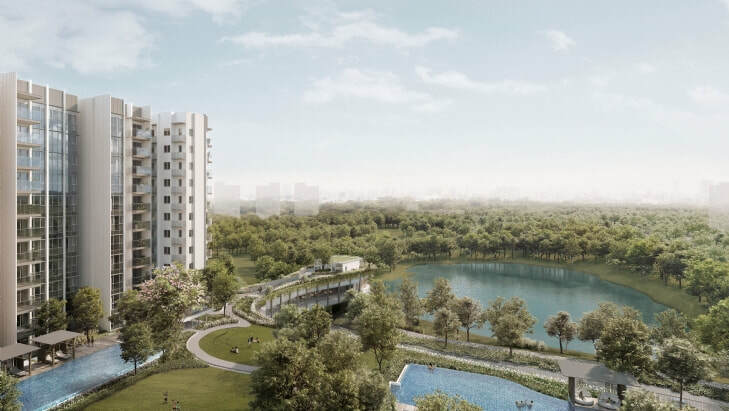 The Woodleigh Residences is a brand new ground-breaking project at the upcoming Bidadari Estate. Located along Bidadari Park Drive and Upper Serangoon Road, this mixed development holds 667 apartments with choice of 2, 3 and 4 bedroom units. Integrated with The Woodleigh Mall, which boasts approximately 28,000sqm of retail, dining and lifestyle services, enjoy convenience to lifestyle amenities right at your doorstep. A stone's throw away from Woodleigh MRT station, it offers unparalled access to the city via the North-East Line. Minutes away from the Central Expressway (CTE) and Pan Island Expressway (PIE), commuting to all parts of the island will be a breeze!